How would you like to save thousands of dollars, help the environment, and receive some great perks from your favorite local business? 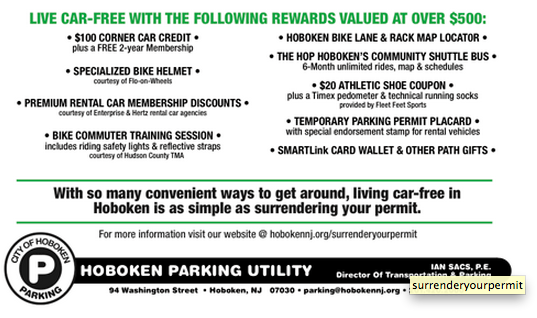 Fleet Feet Hoboken, the only locally owned and operated running specialty shop in our mile square community, is proud to sponsor Hoboken’s Surrender Your Permit Program. By giving up your parking permit, you receive a $500 rewards package, including a $20 savings card towards a pair of Fleet Feet Sports running shoes, a Timex pedometer, and a great pair of Feetures running socks! Run, walk, bike, or “hop” to your destination, gain fitness and a sweet rewards package, all while saving the environment. Going green has never looked so great! 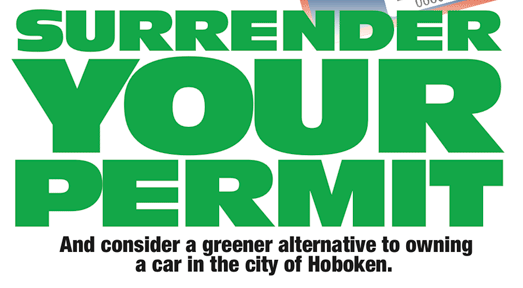 For more information on this program, just visit the following website: http://www.hobokennj.org/departments/transportation-parking/surrenderyourpermit/. To get involved with our health conscious training programs and run/walk groups, please visit our website: http://www.fleetfeethoboken.com/.